Counting 1-10 With Candy Corn! Common Core Aligned! 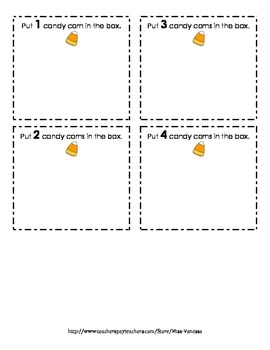 All you have to do is buy the candy corn and the rest is done for you! 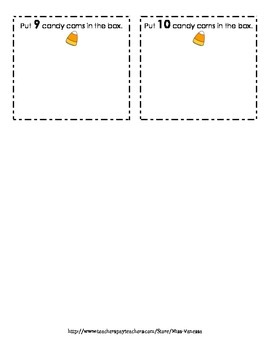 Students will learn to count 1-10 and recognize numbers with this fun activity. Cut out each square and have students randomly pick one. 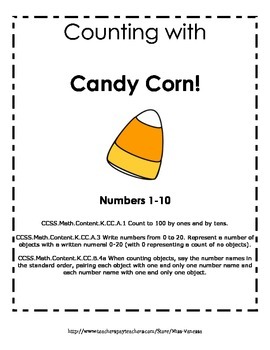 As they read and recognize the number, they will place the given amount of candy corn on the box. At the end, they get to eat their candy! Fun and interactive way to learn their numbers.